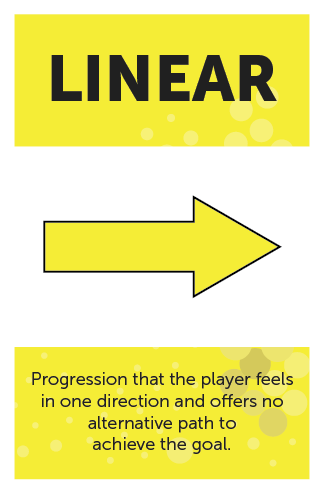 Progression that the player feels in one direction and offers no alternative path to achieve the goal. Think of this type of progression as moving either forth or back. This feeling of MOVEMENT is what will put all prior dynamics to work. If the progression is not felt by the players in their knees they just won’t have the drive to push forward. Always help players have a sense of advancement when achieving ANYTHING, even if they lose at some point.  In #gamification linear progression is how MOST systems start. Using alternative progression requires a lot more work and attention. I always recommend a combination of the two. Start always with your MAIN line and then develop a few alternative routes that will offer some choices for the players. I always love to make reference of this particular mechanic with LinkedIn’s progress bar. Once they implemented this on their website, they drove the completion of curriculum from 20% to 80%. 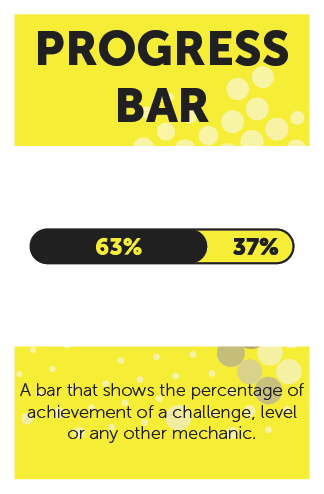 It’s a simple bar that took (literally) five minutes to code. However, the power of a progress bar that shows the player how much work is LEFT, gives them a sense of advancement so fulfilling and relaxing. Be wise when using it. Make sure the progress it reflects is relevant to the players. Progression Unlock can be one of the most fun game mechanics out there. Showing your players that they CAN’T go further until they’ve accomplished certain things is the easiest way to get them do those tasks they just won’t do. By using this mechanic, you are using the CONTENT of your system as a currency. They have to pay with growth in order to progress. It is simply beautiful. 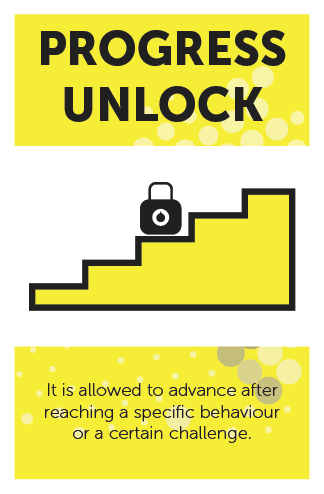 When I implemented this in my classrooms using BLUErabbit, I just had to put the best jobs locked and ALL players would rush into the not-so-pretty to unlock their prize. They didn’t even worry about the rewards of the new challenge, the content was great for them so they had no other choice than doing whatever the quest required. The reward was the content. NOT the coins. Sometimes I wouldn’t even give them XP from the unlocked quest. I would say with confidence that almost every single game in the planet has a level system. 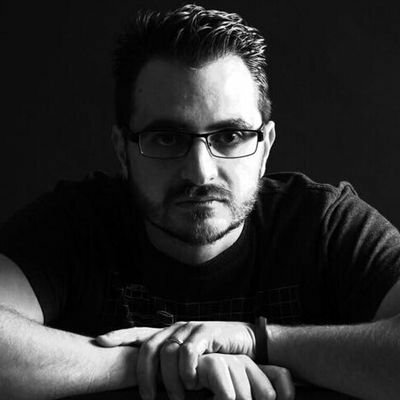 It’s the easiest way to show players their progress and if it doesn’t show it to them, it’s within the code somewhere so MATH can kick in and simplify everything for the GAME MASTER. 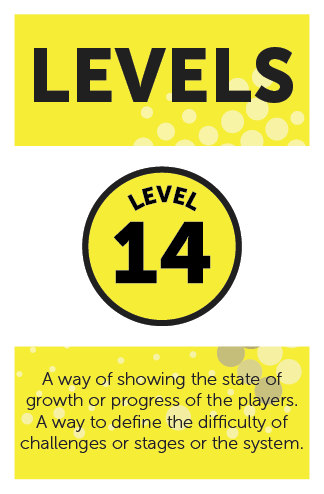 Levels are one of the game mechanics that give players an immediate sense of achievement without giving them anything else. Imagine that when you graduate highschool they tell you that now you are a Level 10 expert in Chemistry and that allows you to take advances classes in College. Or that the requirement for X job is to be level 45 in X abilities. This is an utopia that I know won’t be achieved anytime soon, however, this line of thought can show you how simple a LEVEL can give you a sense of progression and a very simple goal to target.